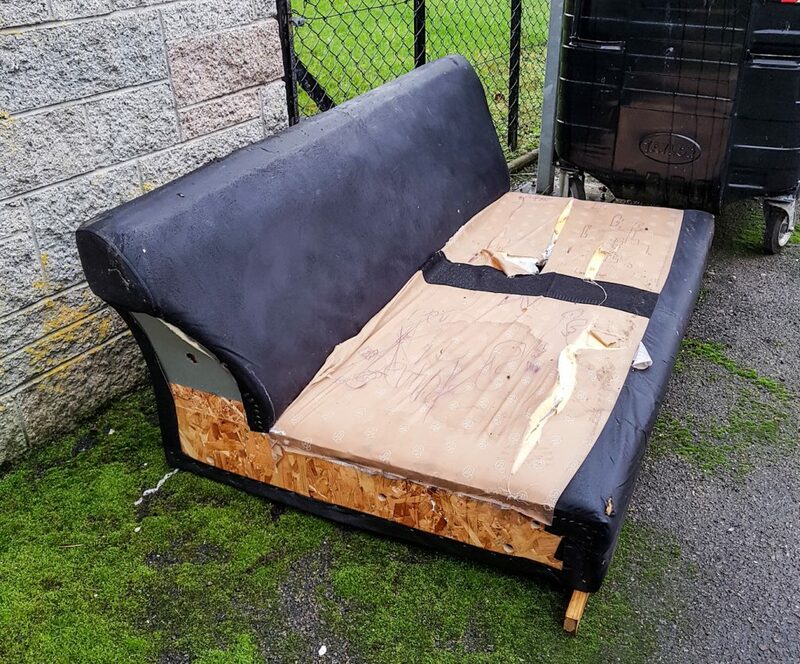 After being contacted by a local resident I asked the council to remove the sofa and other large items lying beside the street bins on Garthdee Drive. Please do let me know about any dumped items or litter in our area. Why not post an “Owner Wanted” for the couch to see if the council could back charge for the expense incurred?